Have you ever lost someone you love so much, a part of you seems to be missing now that they are gone? Would you like to speak to them and know they are with you? Do you need help to move on from this feeling and learn how to enjoy life again? My special guest this week can help you move from Loss to Legacy. Chelsea Hanson is a grief educator, life and career coach for bereaved women, author of six gift books, and founder of the online memorial gift and tribute store, With Sympathy Gifts and Keepsakes (http://www.withsympathygifts.com). Following the sudden death of both of her parents, Chelsea developed her signature system, the Loss to Legacy MethodTM, a method that transforms deep grief into insightful healing. Her mission and her calling is leading the bereaved through this unique transformative process to reconcile their sorrow while continuing to honor the memory of those they love. Her gentle, supportive programs guide survivors on how to live purposefully with new appreciation for each day. Chelsea’s published books, grief support programs and online store have been used by more than 700 funeral homes across the United States and Canada. If you too, would like to make your life and work matter, get her free mini-class, Say Yes to Life at http://www.chelseahanson.com/ and to obtain grief support, get her free E-Care package, Hope for a Healing Heart at http://www.withsympathygifts.com. 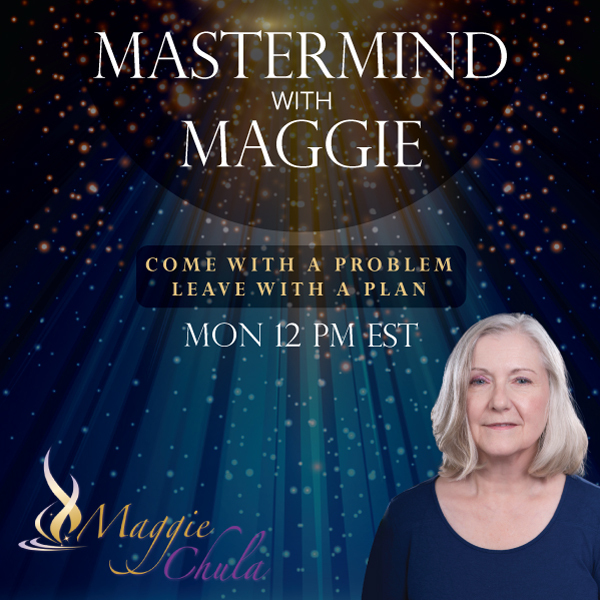 Call in and mastermind with Chelsea and me. The number to call is 202 570-7057.